In the seventh century we can identify several provinces whose rulers are regularly referred to as kings (reges). It is uncertain if smaller territories which appear in sources of the seventh and eighth centuries as subdistricts (regiones) of the larger kingdoms had once had their own kings. If they had, there is no confirmation in the written records. 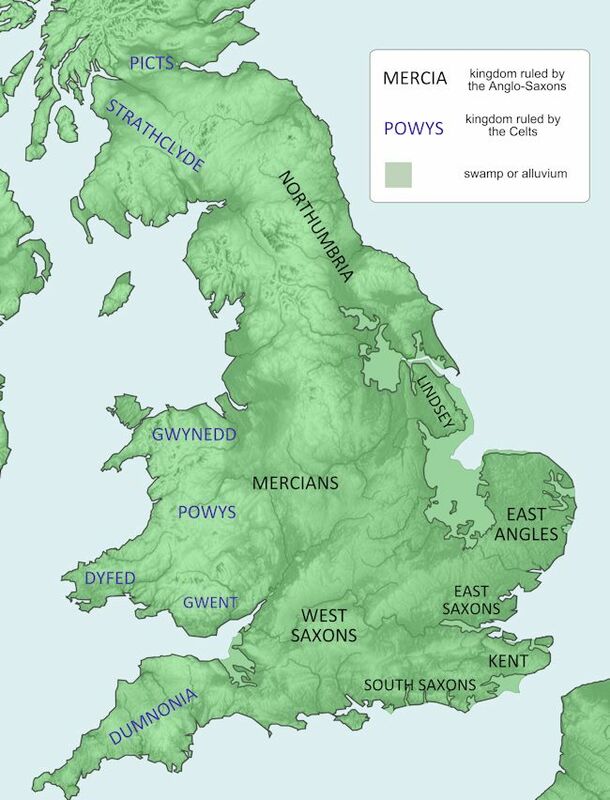 Competition and intermarriage led to amalgamation of kingdoms, so that by the beginning of the ninth century there were only four surviving Anglo-Saxon Kingdoms: East Anglia; Mercia; Northumbria and Wessex. The activities of the Viking ‘Great Army’ led to the deposition of the royal houses of East Anglia, Mercia and Northumbria. 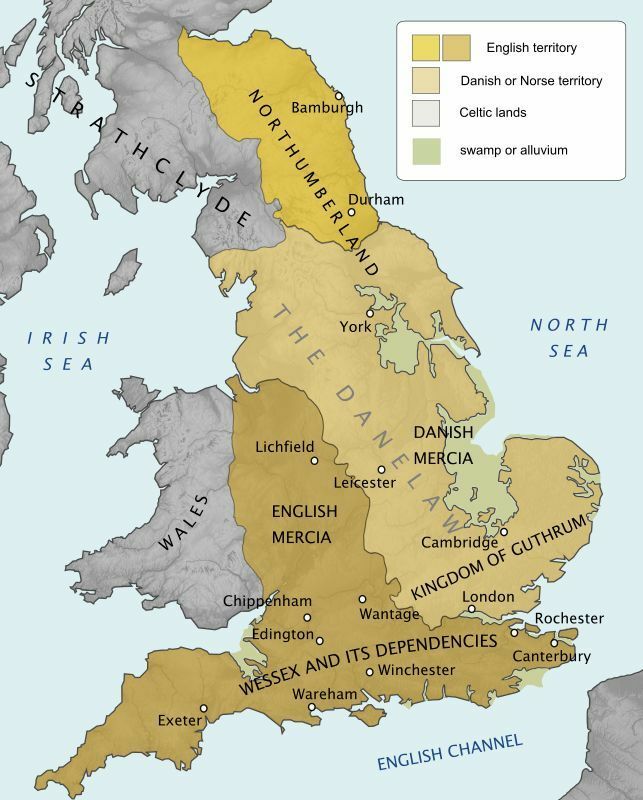 King Alfred’s victory against Guthrum in 878 at Edington, which led to the Peace of Wedmore and the partitioning of the country with the kingdoms of the Mercians and West Saxons on the one side of the boundary, and the Danelaw on the other. Edward the Elder and his sons were able to subdue the other Anglo-Saxon provinces and so become kings of England. The military success was reinforced with ceremonial acts. Edgar had a second coronation at Bath in 973 to emphasise the fact that he was the most powerful ruler in Britain. His reign also saw strengthening of the ties between church and state with the monastic reform led by Saints Dunstan, Oswald and Æthelwold. The reform laid great stress on the role of the monarch. The united kingdom of England was effectively controlled through royal officers and a system based on the hundreds and wapentakes. The strength of the royal government can be seen in the regular re-minting of coinage, and the ability to collect large sums of Danegeld under the reign of Æthelred the Unready.